From felt to GRP, we are specialists in flat roofing. We have over 15 years experience in tiled roofing. Prefer the look of slate? No problem, we work with all types of roofing materials. Although we are based in Liverpool, we work to national standards and have a number of recognised accreditations including with the NFRC, Confederation of Roofing Contractors and Federation of Master Builders. We aim to deliver a top quality service that is affordable and will leave you with a roof that will last for years to come. At Roofer Liverpool we understand that choosing a roofing contractor for your home is a big decision. We also understand that affordability and trust are two key factors in making a decision with who to entrust your home to. That is why we treat every single job as if it were our own home. That means you get the very best impartial advice prior to any work being carried out. You also get the most competitive quote we can offer along with a 10 year no quibble guarantee on all of our work. When it comes to choosing the best roofing company for your home you should leave nothing to chance. Check our reviews on our Google, Facebook and LinkedIn pages to be sure that you are choosing the best roofers in Liverpool. We know that your roof is one of the most important elements of your home and although you might not be stood staring at it for hours on end, by having a well insulated roof you are getting year round benefits. No-one likes the idea of leaking roof and by having a roof that is leak free and up to modern day requirements you are less likely to need to spend out on repairs or renovations caused by water damage. You will also gain the added benefit of keeping cooler in the summer and a lot warmer in the winter. This in turn will reduce your energy usage whether it is the heating at winter time or electricity for fans and/or air conditioning in Summer. Whilst you shouldn’t really put a price on comfort and safety in your own home, we do understand that price is an important aspect of any home renovation project. Our fully qualified roofers are second to none and this allows us to pass great savings on to our customers. Put simply, if you need a new roof and you are based in the Liverpoo area, we are sure to be a good fit you and your home. Choosing a roofer is never easy, but once you have decided on a company it is time to think about the type of roof you need. Of course, most people will be limited to an extent by the existing roof that is in place – whereas if you are looking at a complete re-build you will have a few more options. Even for those who only need to replace the tiles on a roof there will be options. You might want to consider the look of your home, the style of other roofs in your area and the type of look that you like. Colour options are plentiful when it comes to tiles and flat roofing and slate can add a completely different look to your home. If you are unsure, our friendly team can discuss your options with you to ensure you choose a roof that will last and you will be happy with for many years to come. At Roofing Liverpool we completely understand the concerns of residents and businesses when it comes to having any kind of renovation work. Cost, time, upheaval and mess are often at the forefront of the mind when it comes to a project such as a new roof. We like to think we can put your mind at ease on all fronts as our prices are among the most competitive in Merseyside (if not the UK). We completely understand that when you are choosing a roofing company you need to be able to trust them to clean up after themselves, be courteous and polite at all times and work flexibly so that life can go on as normal. We deliver on all of these fronts and our customer testimonies are a testament to our exceptional customer service. 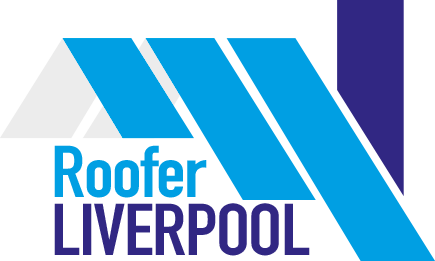 You will not find a more courteous roofer in Liverpool – guaranteed!